The Business Talent Group recently released its first ever Skills Index. This report reveals the attributes that Fortune 1000 companies consider most valuable and are most likely to look for in a consultant. Supply Chain skills ranked eighth and skills related to Market Analysis, Growth Strategy, and Customer Experience also ranked highly. The list was topped, however, by Project Management skills. 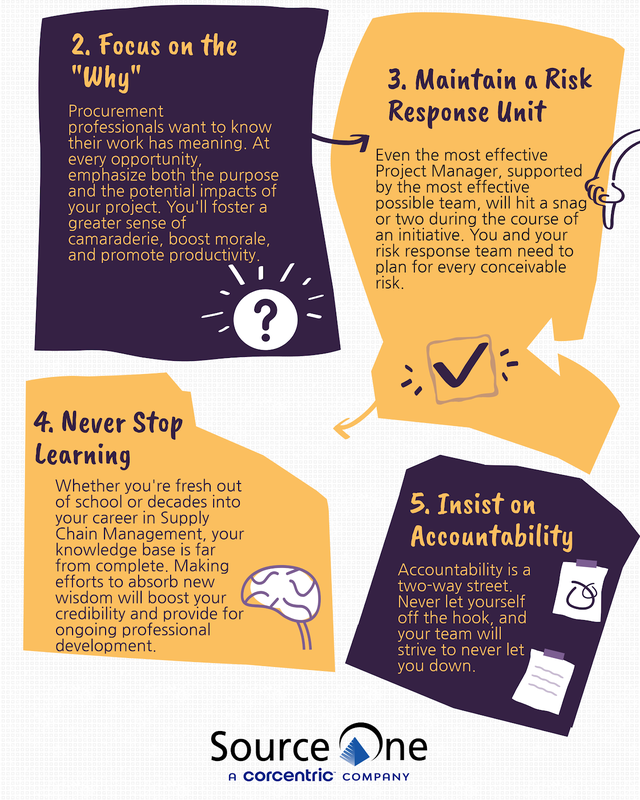 It's increasingly clear that growing into an effective professional means growing into an effective project manager. Organizations are looking for consultants and employees that can guide a team and a project to an effective close. 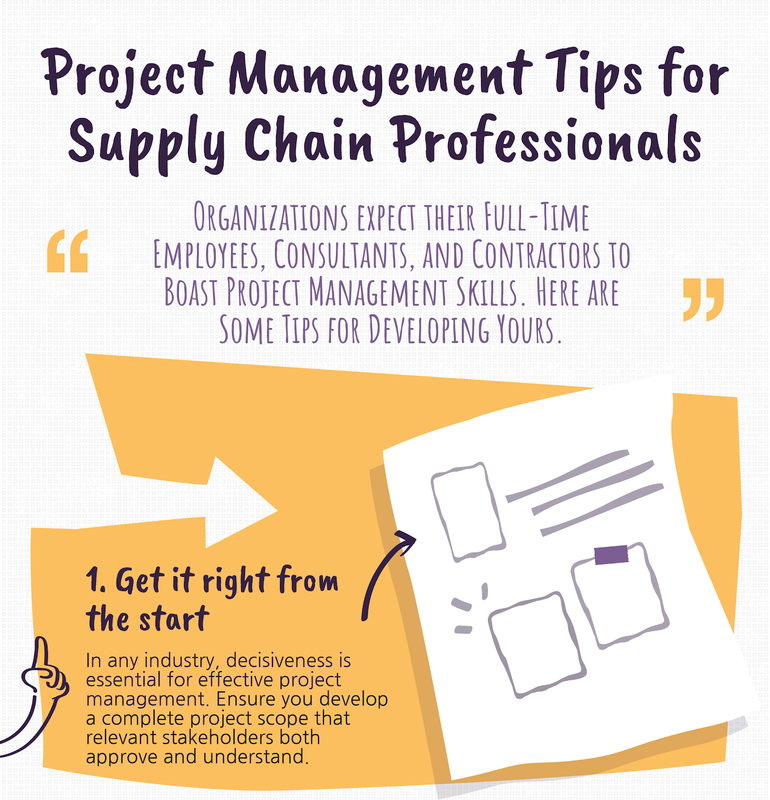 Check out the infographic below to learn more about developing Project Management skills throughout your Procurement team and successfully carrying out initiatives.